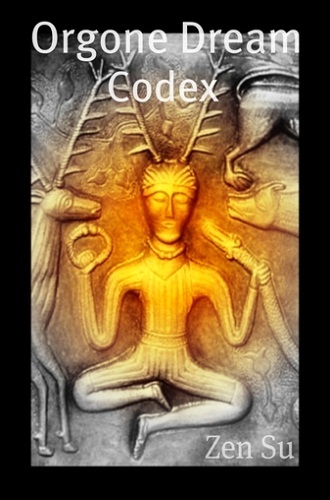 The hub of the 2011-2013 Light-Seeds Almanac, outlining a vision into the future. Ahead of us lie a number of probable futures, spread out like the fingers of a hand. Only one of those futures will become our physical reality; but that does not mean to say that the other futures do not exist in parallel realities - it simply means we do not take those other routes. 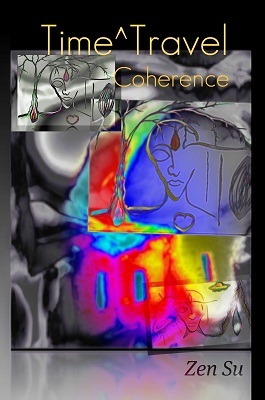 Alternative realities span out across a quantum landscape like paths, trails, roads and motorways .. the directions many people take on multiple journeys across the illusions of separation of time and space .. with some of us going in the same direction on different parallel realities. It is often the case that psychics and seers view alternate reality pathways very similar to our own and mistake these visions as 'our future', when they are not. One of the first things the Guidance taught us was the ability to sense the difference between those worlds and ours. 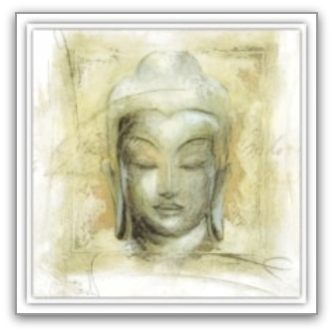 There is a difference - it is a vibrational difference. In some ways our future unfolds around us in a natural organic way. The least understood aspect of the future is the undercurrent or hidden inner psyche of a planetary culture. The organic human species are one planetary culture regardless of race, gender or social status. *December 31 2010 - It's only silver... Isn't it? 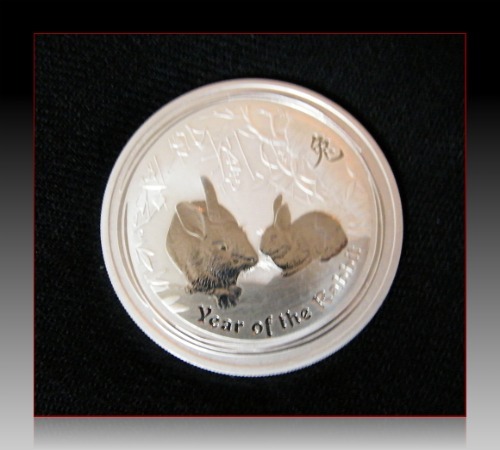 2011 was the year of the Chinese Lunar Hare - carved onto the flat shining face of Moon silver. It's just silver... isn't it? The pale, bright metal disk .. cold as the moon .. bright and shiny as the stars. Well, no! It was not that simple! Our Remote Seeing team used objects as witness points. 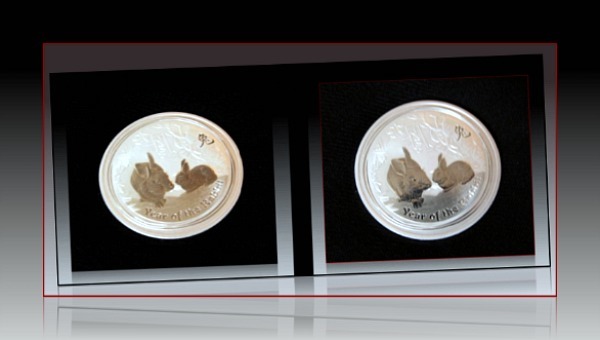 By the end of 2010 they decided to try the Australian silver 2011 Lunar Hare - not really expecting much. It was, after all, only a silver coin. It was almost midnight of December 30, 2010. The team used a technique of falling asleep with the witness object in their hand (or under the pillow) .. somewhere close to the sleeping form. It was not rabbits that they saw, nor did they see the Chinese lunar New Year... There were no white European faces. Our team saw only the Native People from the large land mass South of Indonesia. Connected to the silver, a tribe of elders walked towards us out of the dark night. There was only the silent desert, the Native People and the stars. Above them were billions of stars shining brightly like silver sparkling in the skies. The Native People walked towards us dressed in ceremonial wear, with spears and long wooden walking wands. These people - the ancestors - were as strong and as bright as silver ..
even though their skin was dark. From a UFO / Timetravel point of view .. 2012 signifies a crossing of the 'time-zones' and this vulnerable situation could continue until 2020, unless something intervenes to protect the human race on planet Earth. The problem - for them - is the fact that they are being pursued by the same people (forces), from their timeline, who threw them out of power! Across the bridge(s) of time and space, those who shift worlds to escape their own time and impose dictatorship(s) on other seeds-of-life, create problems for that original timeline. Those who defeated them and threw them out of 'power' are also responsible for the octopus like oppressive strands those service-to-self escapees spread across the spectrum of time-and-space. Who are we and why are we here? What is the destiny of this Earth timeline? 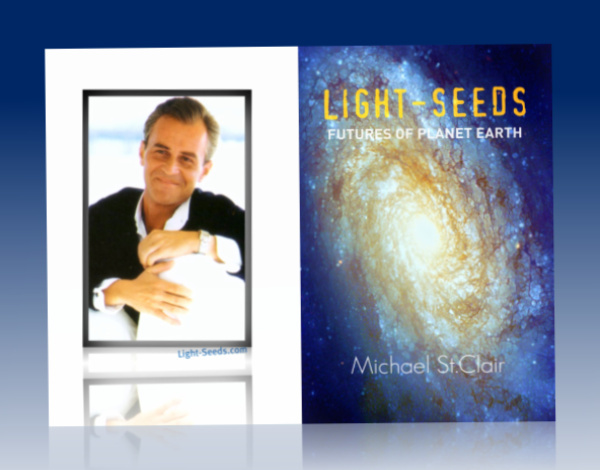 @ Light-Seeds we have an up-beat view of the future of mankind on planet Earth.. perhaps because the human race has a powerful protective field of friends.. those who are ourselves in the not-too-distant future... 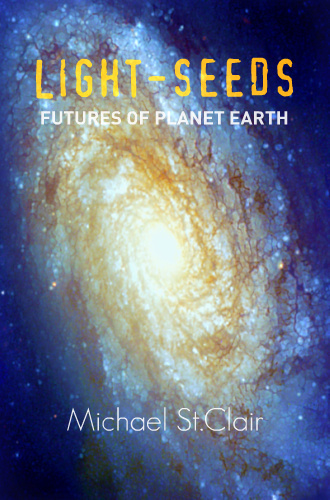 This is what Light-Seeds: Futures of Planet Earth is about! You may think this title is odd, because isn't it obvious that the 'debt crisis' is already here! As was with the Roman Empire (which still rules the world today in hidden ways), the collapse and the real issues of the crisis are not yet totally in swing. 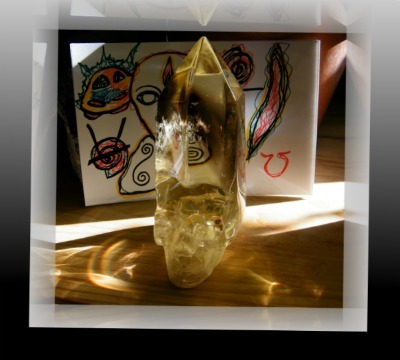 Remote Seeing is not like Remote Viewing... Remote Viewing teams will zone in on a chosen target and will look around for answers in the dark. We did not develop Remote Seeing, it developed us. There is a natural 'Mirror of Galadriel' within the human brain that is activated when connected through Seeing; but you don't get to choose what you see or how you see it. The coming debt crisis will simultaneously hit across Europe (we just don't know when) - with consequences both good and bad. It will cause a lot of shockwaves to follow and the good side of this will be an end to the corruption that caused it. The first quake will be the collapse in financing the array of over-priced houses in exclusive areas. Society will become actually 3D aware of the painful fact that the rich and the super rich are financing their expensive homes from debt. Across Europe the debt pyramid was hidden behind the illusion of exclusive ownership of resources. This really is the Emperor's Clothes multiplied many times over. The real issue being brought into the awareness of mankind is selfish-isolation, greed, service-to-self and wanting more than your fellow man. The self-centered ego is in 'debt' and finances its rule from debt... not only financial debt - but also mora debt. 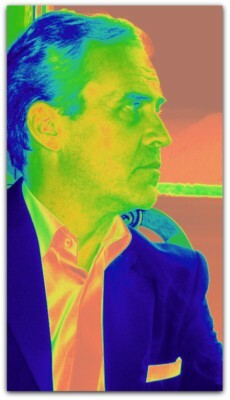 From a Remote Seeing perspective 'the self' is not a solid foundation on which to build one's life or future. People build their personal ego-foundations on sand and in some cases quicksand. The lenders and the banks have the houses on their balance sheets as: 'monetary resource'. Few realise that all housing is overpriced, because of the weight of speculation feeding off the market. A home is a basic need for every human being, the need for shelter. This need for balance needs to be addressed before we can move beyond the shelter and into a future worth living. The American Institute of Physics 'Rapid Climate Change' report linked above is well worth taking time to read, and to read carefully .. something we don't often do these days in rapid information exchange. This report has been very well written. It is a long report with a lot of interesting information and research. From our Remote Seeing it would seem that our early ancestors were repeatedly pushed back into small groups clustered together in an attempt to survive sudden cooling. They survived these 'ice-ages' in extreme conditions and later rebuilt their cultures during the warmer more temparate changes in climate. These human groups were not necessarily 'primitive' before the ice destroyed their way of life. They most probably were forced into a 'primitive state' of survival. This would explain our incredible capacity to create, build, develop and adapt various technologies as though we were born with this knowing. Human beings are as familiar with advancing technologies as animals are to their natural habitats. We feel at home with technology. We adapt to changes in technology in the same way creatures on Earth adapt to local climates. Could it be that temperate, steady climatic periods such as we have experienced more recently are rare? Could it be that oceans offer a better 'survival' option for hi-tech humanoids, while land occupation is a very hazardous and uncertain way to live on Earth? 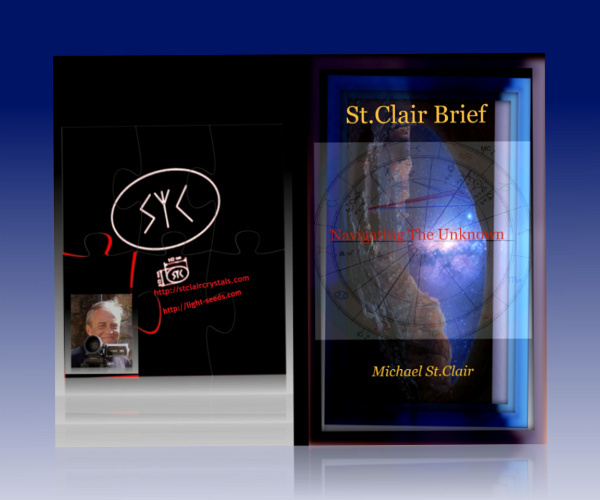 Of course, there are the stories of Inner Earth civilizations .. people who live much longer than the surface dwellers and whose cultures are more stable and enduring. We have 'Viewed' masses of people (from our distant past) running for their lives to the surface from extensive highly advanced underground caverns due to some disaster. Did some of our forefathers flee to the surface and attempt to survive through tens of thousands (if not millions) of years of cataclysmic change? Perhaps this planet's surface dwellers are the mixed children of inner-earth, some from the sea, some from the land and some from the stars! This was the most surprising revelation in the Alchemy Series .. Our NewMind team do not use conventional Remote Viewing techniques. What we do was show to us by our off-world team. That means other dimensions, spirit world guidance and beings, UFOs and who we are from the future, guiding ourselves across the oceans of tomorrow. The rebuilding of the 'temple of the sun' may sound ominous, but it has been done before in earlier times. Pre-Inca civilisations rebuilt over much more ancient sites. Ancient pre-Egyptian civilisations rebuilt over more ancient ruins .. see the amazing John Anthony West Magical Egypt Series. You can join John Anthony West on his Magical Egypt study tour and personally share his love of Symbolist Egypt. It was this information that led to our latest Almanac encounter. Thoth and the Hermetic seal? It all exists and it is real. The only problem mankind has is that the mind of man is blind to the mystical process. The rebuilding of the "Temple of The Sun" has nothing to do with the religious and political conflicts in the Middle East. Temple(s) will be rebuilt in Egypt, we do not know how and we do not know when. All we know is that they will be rebuilt by people who know what they are doing. Human beings - with the guidance of high masters of the universe - have been rebuilding these ancient sites since the beginning of man. This is related to who we are on a SOUL level. This is why we build and rebuild these temples of knowing .. it is deeply related to creating our soul-frequency on the planets we inhabit. In our Remote Seeing contact we were shown the future rebuilding of temples in Egypt by incarante beings who know EXACTLY what they are doing. This rebuilding of the ancient temples has nothing to do with lower vibration dis-information floating around the Internet today. We were shown a real rennaisance in the abilities of mankind that will grow and continue for a thousand years or more. Particles of THOTH twinkled like stardust into the hearts of higher incarnate masters - who are master builders - and together they re-built the temple(s) of the Sun on the ancient sites. We do not know how to build the corners, and this was said to us: You do not know how to build corners. The invisible presence of Thoth (Hermes) filters down into physical 3D material life. The structures already exist in the form of particle sacred geometry within planets, plants, stone, rock and every sub-atomic form of physical matter. 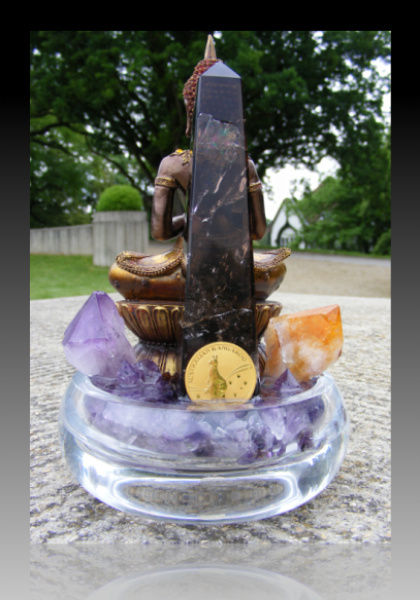 What we are challenged to understand is how the higher elements translate and transcend into physical base reality. All we can say is that these sacred structures exist on Mars and on other planets, in sub-atomic space, in other dimensions and on higher spiritual levels and this is why highly advanced human civilisations build those structures within 3D physical space-time. The previous report was related to a major breakthrough in technology from metal based (reflective) to plant cell based (absorbant). Technology is only part of the changes to unfold in the years ahead. One of the most important changes relates to how we value local resources. At present local resources are greatly undervalued. Like gold and silver local resources have a real value far greater than people today realise or appreciate. Buying and owing land was a fundamental necessity for the colonisation of resource rich lands since the time of the Roman Empire. The moment you value land in terms of monetary value the real value of that land is lost. Physical land, water and all resources associated with the land are always worth more than paper monetary value. The most important factor about to change in the next 50 years is the idea that a house represents a growing monetary value for the owner. The idea that a house owner will always sell the house for more, as the house is viewed as an 'investment' is corrupt and unstustainable as it implies inflation. Go back to the basics .. a house is a 'shelter'. It is not a commodity, it is a basic human need as important as clean air, water and food. That is the real value of a home. Banks and financial societies bulding houses to sell and rent to make money will come to an end. To understand why, it is important to understand the real meaning of 'value' and how people in the future will determine value. Renting space to provide a service has become an intolerable burden on the people who work and produce real services and real resources. Those who control the ownership and renting of space to simply profit from that fixed asset will be out of a 'job', as the exchange of 'value' returns to the local economy and to the local environment. The heavy taxation of 'rent' will be a thing of the past. The value of what is produced will determine the exchange between the local environment and the producers. For example, if production requires excessive use of water and harms the environment then the 'value' will be determined also in terms of local environmental costs, which will in turn create interest in developing environmentally beneficial production systems or neutralisation systems for substances that would otherwise harm the environment. Outside parties capitalising on the ownership of land resources whose value is equal to the needs of the people and their need for resources [=life]. If you don't have resources, you are not going to survive. Therefore, rents are a taxation on the need to just live. As Alex Collier so elequently said, "You are paying to live on the planet on which you were born .. "
This will become a hot political issue. At times of economic collapse rents remain high and do not reflect nor respond to the real life situation. Property owners want to maintain post collapse incomes within a crashing economy. Property owners will empty a property if they cannot maintain post collapse income within a crashing economy. I guess it is obvious why this will become a political hotspot .. This is a crucial time for everyone living on the planet, including the next four generations. Everyone on Earth is going to be affected by the emerging cultural changes happening in the three years from January 2011 to December 2013. One of the most astonishing changes is that we will not remain a metal-based technology society. Advancements are being made that will transform technology from metal (reflective) to plant cellular technology (absorbant). It is important to understand that this interest, coming from our minds today, translates into a world-wide development of plant based technological hardware. The physical shells of computers and mainboards will be based on plant-cellular applications. It will be discovered that plant cells transmit electrical current and magnetic current far more accurately that metalic magnetic compounds. This discovery alone and its applications, will alter the inequality and poverty of countries suffering under the weight and cost of elite metal sourcing. It is a lot easier to mimic and grow plant cellular based technology than it is to dig metals out of the ground, refine them and transport them all around the world, at ever higher costs. The coming innovations in cellular technologies will also be a breakthrough in finally ending cultural inequality and poverty. The transition from metals to plants will be a transition from selfishness to sharing ..
*Rare Earth Metals: International stress and conflict due to production and transportation of rare earth metals, would be one contributing factor to future research. Institutions worldwide will, in the next few years, study plant antonomy and cellular biology to create multi-discipline plant-tech applications. Approaching 2020, world economies will experience shared balance of trade and production at local levels. The development of necessary technology and the solutions they bring cannot depend on a restricted production of rare earth metals. With increasing climate disruption and potential disasters a break in rare earth metal supplies would throw world economies back into loss, panic and distruption. Perhaps in some alternative reality the Chinese dragon is red .. in this reality we do not see a development resulting in an expansion of the red dragon. Due to a shared mindset prevalent on the planet today the development of the Chinese dragon will be green. The reasons are very simple .. when countries restrict supplies endangering cooperation, those countries also fall apart when everything else goes down. It is not in China's interest to increase poverty in countries they are now expanding into. The way for Africa and the Middle East to 'go-green' is to develop plant cellular technology and share those developments in a global Open Source environment of co-operation and international respect. Most armed conflicts taking place in the world today are a result of poverty, struggle for basic resources, outside influences in the struggle for resources (trade) and oppertunism. As the micro-cellular world of mother nature begins to reveal and provide humans with local and bountiful cellular technology resources, the need for exploitation by powerful nations out of fear of the loss of key trade supplies ends. Forms of transport, in the future, will not be casings of metal and carbon - the shells will be plant fibers, led by the grandmother of all plants: Hemp.